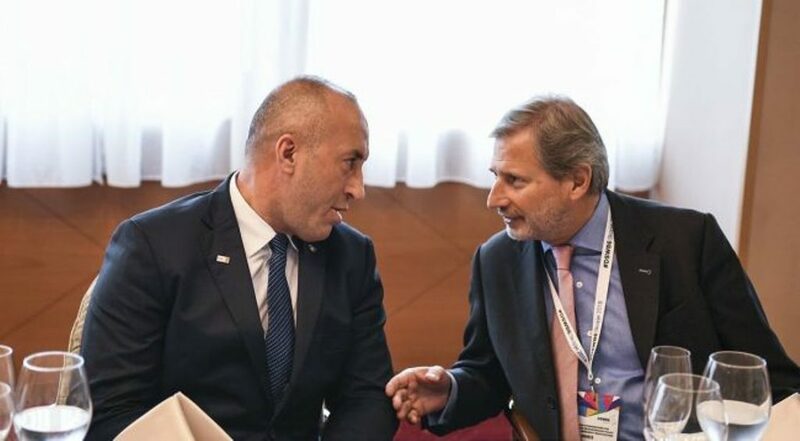 After a closed-door meeting with EU Enlargement Commissioner, Johannes Hahn, Kosovo’s Prime Minister Ramush Haradinaj said that the meeting focused on the process of European integration. Haradinaj said that he has asked from the European Commissioner a quick decision on the liberalisation of visas. “During the meeting with EU Enlargement Commissioner, Johannes Hahn, I reiterated Kosovo’s determination in its EU integration path. We have marked progress and after delivering all the criteria for the visa liberalisation process, we’re expecting free movement of people to take place as soon as possible”, he said. The Prime Minister has not revealed if the meeting discussed the tax introduced on goods coming from Serbia and Bosnia and Herzegovina.